ChamongChiabari is a premium luxury resort located in the fringes of Darjeeling. It offers picturesque views and a quiet time to its guests away from the city life. DARJEELING, India - Jan. 11, 2019 - PRLog -- Tucked in the Lesser Himalayas, Chamong Chiabari is a charming tea estate resort magnificently encircled by unending greenery. This exquisite tea garden resort located in the middle of a tea garden is certainly one of a kind. The serene surrounding is one of the biggest USP of this enchanting tea resort. The picturesque landscape views decorated by a sublime ambiance are certainly one's best bid to discover the captivating and uninterrupted nature. And this tea garden resort makes this possible. The beautiful hill station of Darjeeling is certainly one of the most amazing and loved hill stations in India. It is of no surprise to see this picture-perfect hill station remain flooded with travel-freaks almost at any time of the year. However, one will come across a series of accommodation options in Darjeeling. This is because tourism is an essential part of Darjeeling's economy and there are several luxury hotels and tea resorts which provide top-notch accommodation services. However, the fun of spending a vacation in a tea estate is beyond comparison. Chamong Chiabari is one of the best tea estates in Darjeeling and is a huge favorite among tourists. The amazing atmosphere and offbeat location of Chamong make it a symbol of peace. Distant from the chockablock atmosphere of the main city, this resort offers an opportunity to discover uninterrupted nature at its best avatar. This tea estate has been ranked high by most of the top travel platforms of the country and it is mostly due to the amazing service and incredible hospitality. The hotel staffs are extremely courteous, friendly, and disciplined. They leave no stones unturned in guaranteeing luxury and comfort. Spacious rooms are a trademark of this resort. Every room is subjected to classy interiors and antique furniture that enhances its aesthetic appeal. Tackling the chilly climate of Darjeeling can be a challenging task. This is why pure warm water and room heaters are provided. The fresh and appetizing organic food served is made from the fresh produce of their own garden Added to that, there is a modern spa which ensures that comfort is never compromised. 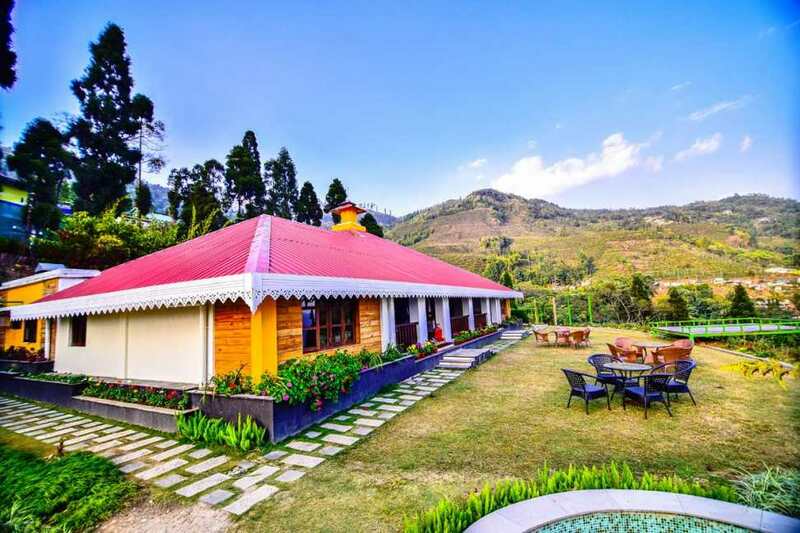 The towering popularity of tea tourism in Darjeeling is often influenced by the amazing hotels and resorts in Darjeeling (http://chamongchiabari.com/) and Chamong Chiabari is one of their knights in shining armor. If your soul is craving for a breath of fresh air accompanied by serene backdrop then this tea resort is your best choice. The 360-degree greenery flirting with soul-satisfying Himalayan backdrop is bound to mesmerize your soul. Also, you can spot more than 208 species of vibrant mountain birds from this place. Add peace and serenity to your vacation by staying in this beautiful tea resort.